Last week, a patient called and cancelled her scheduled Bone Marrow Concentrate Regenexx SD Stem cell procedure declaring that she had found a less expensive provider for stem cells. I wished her well and devoted some time to trying to better understand the price range posted on the internet for the Regenexx SD procedure. While I couldn’t really get a grasp on the geographic differences in costs, I did realize the chaos and confusion potential of trying to compare apples and oranges. 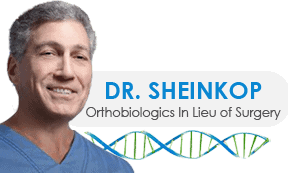 The Regenexx SD Stem cell procedure is the gold standard in the emerging world of Cellular Orthopedics (Regenerative Medicine). There is a seven year outcomes data base supporting the safety and efficacy of the Regenexx methodology. We have been monitoring the successful outcomes of our procedures for a longer time and with the most detailed, reproducible criteria in the field. If you look at non Regenexx websites, you frequently find our outcomes data reproduced (many times without permission). The Regenexx mission statement is to get the patient back to things he or she loves faster and without surgery. The actual preparation for the procedure, the harvesting and processing of the bone marrow and the follow up management is proprietary in nature; that’s why price shopping doesn’t work. If it isn’t a Regenexx SD procedure, it is a generic knockoff and you will really minimize the chance of success. There are several Regenerative Medicine practices outside of Regenexx in the Midwest; yesterday, a patient called to schedule a Regenexx SD procedure after having gone elsewhere for less cost and experienced the anticipated unsatisfactory outcome. This is not cookie cutter technology. The harvesting of the bone marrow cannot be from a single site or you risk a marked diminution in the number of adult mesenchymal stem cells harvested. The amount of bone marrow harvested must meet the quantitative requirements for maximum benefit. The simple recovery of 10 ccs of bone marrow is doomed to fail yet the latter is frequent in some settings so as to minimize charges. Then there is the proprietary system of concentrating and processing only available through Regenexx. Last of all, the counting of cells is not a futile exercise as suggested by the “knock off” clinics. We are able to sense success in numbers. 312 475 1893 to schedule an appointment.